End chronic painfor goodwith this practical guide from the PBS personality behind Classical Stretch and author of the New York Times bestseller Aging Backwards. The root of nearly all pain is movementor lack thereof. We need to move our bodies to refresh, nourish, and revitalize our cells. Without physical activity, our cells become stagnant and decay, accelerating the aging process and causing pain. People who suffer chronic pain often become sedentary, afraid that movement and activity will make things worse, when just the opposite is true: movement is essential to healing. 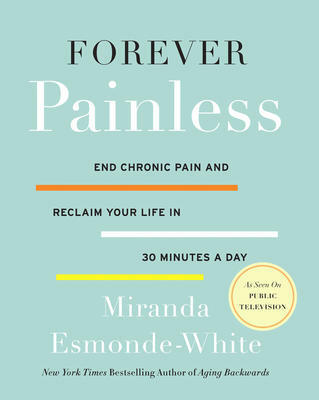 In Forever Painless, Miranda provides detailed instructions for gentle exercise designed to ease discomfort in the feet and ankles, knees, hips, back, and neckallowing anyone to live happier, healthier, and pain-free no matter their age.